Missing teeth aren’t just an esthetic issue. According to Richard C. Guess DDS from the Maplewood Laser Dental Clinic in Wichita Falls TX, missing teeth can also cause problems for your other teeth, your gums and your overall health. Dental implants help exercise your jawbone. If you have missing teeth, your bone has nothing to keep it sustained and will deteriorate your jawbone. 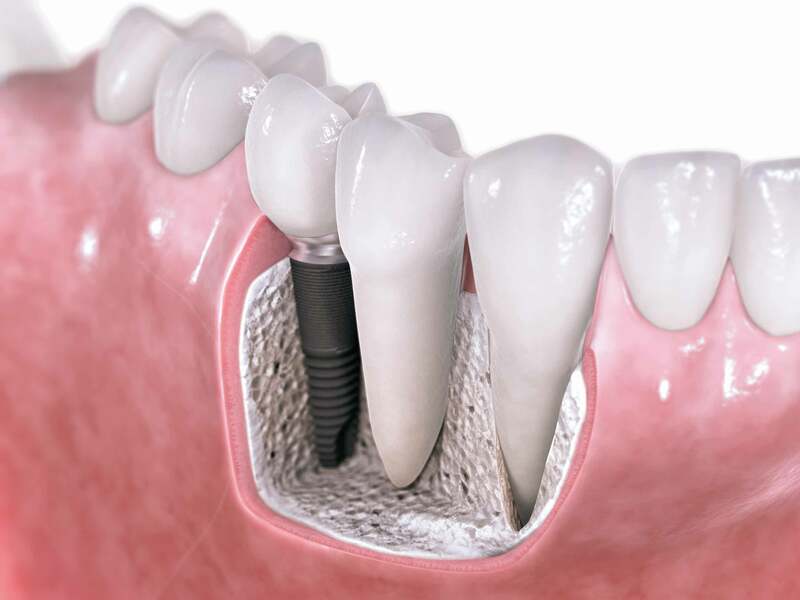 Dental implants also make eating and talking much more pleasant and can boost your self-esteem. Dental implants certainly aren’t new. In fact, according to archaeologists, skulls have been discovered that contain shells, semi precious gems and bones that were used for artificial teeth. Those gems, bones, and shells actually fused to the jawbone, just like today’s dental implant posts do. Thankfully, 21st century cosmetic dentistry has modernized dental implants so that anyone can have a beautiful new smile. Used as a foundation for artificial teeth, dental implants are made from titanium steel and are surgically placed in or on your jawbone. Once the area or areas have heeled, which could take between six and eight months, the Maplewood Laser Dental Clinic will attach natural looking teeth on top of the posts. Although most people are good candidates for dental implants for missing teeth, the only way you can find out for sure is to schedule an appointment with Maplewood Laser Dentistry in Wichita Falls, TX. Dr. Guess or an Oral and Maxillofacial Surgeon who has been referred by the Maplewood Laser Dentistry Clinic will give you a complete dental and radiographic examination and go over your health history. Dental implants are just as strong, if not stronger than your natural teeth and when taken care of properly can last for the rest of your life.If you would like more information regarding dental implants for missing teeth, call or click and schedule a no obligation consultation with Maplewood Laser Dentistry Clinic in Wichita Falls, TX. You really can smile with confidence.